Your Local Durham Electrician With Over 25 Years of Professional Experience! We install whole home automatic generators with financing available. If you have a portable generator we have a LIMITED supply of manual transfer switches. Decades of experience with all types of residential lighting and electrical circuitry. Indoor, landscape and security wiring, backup generator installations, emergency services. $50,000 to $75,000 replacement guarantee for all appliances in your home (including your AC). The Volt Doctors provides residential and commercial electrician services and repairs in Durham, Chapel Hill and the entire Triangle area including Cary, Hillsborough, Wake Forest, Pittsboro and beyond with fair, clean, and courteous electrical services. The Volt Doctors is a full-service professional company providing electrical services, lighting, installations, and repairs. If you need an electrician day or night, count on us! Our clean and courteous technicians are here to serve you and we’re available 24 hours a day 7 days a week! Call (919) 236-7167! Here Are Just Some of the Electrical Services and Repairs We Do! The Volt Doctors provides professional electrical services in Durham, Chapel Hill, Cary, Pittsboro, Hillsborough and beyond in North Carolina! 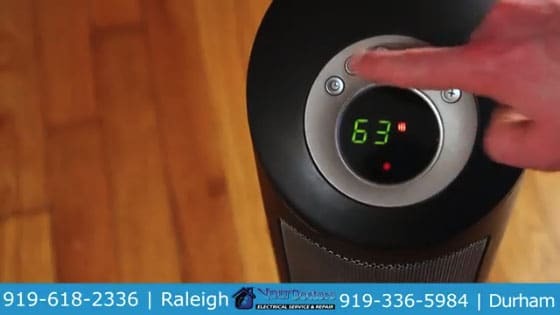 Call (919) 236-7167 today to get our fair, clean, and courteous electrical service. 24/7 service satisfaction guaranteed! Fully licensed and insured.